Increased susceptibility to infection and the possible development of lymphoma may result from immunosuppression. Only physicians experienced in immunosuppressive therapy and management of renal transplant patients should use sirolimus for prophylaxis of organ rejection in patients receiving renal transplants. Patients receiving the drug should be managed in facilities equipped and staffed with adequate laboratory and supportive medical resources. The physician responsible for maintenance therapy should have complete information requisite for the follow-up of the patient [see Warnings and Precautions (5.1)]. The safety and efficacy of sirolimus as immunosuppressive therapy have not been established in liver or lung transplant patients, and therefore, such use is not recommended [see Warnings and Precautions (5.2, 5.3)]. The use of sirolimus in combination with tacrolimus was associated with excess mortality and graft loss in a study in de novo liver transplant patients. Many of these patients had evidence of infection at or near the time of death. In this and another study in de novo liver transplant patients, the use of sirolimus in combination with cyclosporine or tacrolimus was associated with an increase in HAT; most cases of HAT occurred within 30 days post-transplantation and most led to graft loss or death [see Warnings and Precautions (5.2)]. Cases of bronchial anastomotic dehiscence, most fatal, have been reported in de novo lung transplant patients when sirolimus has been used as part of an immunosuppressive regimen [see Warnings and Precautions (5.3)]. These highlights do not include all the information needed to use SIROLIMUS ORAL SOLUTION safely and effectively. See full prescribing information for SIROLIMUS ORAL SOLUTION. Increased susceptibility to infection and the possible development of lymphoma and other malignancies may result from immunosuppression (5.1). Only physicians experienced in immunosuppressive therapy and management of renal transplant patients should use sirolimus for prophylaxis of organ rejection in patients receiving renal transplants. The safety and efficacy of sirolimus as immunosuppressive therapy have not been established in liver or lung transplant patients, and therefore, such use is not recommended (5.2, 5.3). − Liver Transplantation – Excess mortality, graft loss, and hepatic artery thrombosis (5.2). − Lung Transplantation – Bronchial anastomotic dehiscence (5.3). Sirolimus is an mTOR inhibitor immunosuppressant indicated for the prophylaxis of organ rejection in patients aged ≥13 years receiving renal transplants. − Patients at low- to moderate-immunologic risk: Use initially with cyclosporine (CsA) and corticosteroids. CsA withdrawal is recommended 2 to 4 months after transplantation (1.1). − Patients at high-immunologic risk: Use in combination with CsA and corticosteroids for the first 12 months following transplantation (1.1). Safety and efficacy of CsA withdrawal has not been established in high risk patients (1.1, 1.2, 14.3). Adjust the sirolimus maintenance dose to achieve sirolimus trough concentrations within the target-range (2.5). Sirolimus and CsA Combination Therapy: One loading dose of 6 mg on day 1, followed by daily maintenance doses of 2 mg (2.2). Sirolimus Following CsA Withdrawal: 2-4 months post transplantation, withdraw CsA over 4-8 weeks (2.2). Sirolimus and CsA Combination Therapy (for the first 12 months post- transplantation): One loading dose of up to 15 mg on day 1, followed by daily maintenance doses of 5 mg (2.3). Sirolimus Oral Solution is indicated for the prophylaxis of organ rejection in patients aged 13 years or older receiving renal transplants. In patients at low-to moderate-immunologic risk, it is recommended that Sirolimus Oral Solution be used initially in a regimen with cyclosporine and corticosteroids; cyclosporine should be withdrawn 2 to 4 months after transplantation [see Dosage and Administration (2.2)]. In patients at high-immunologic risk (defined as Black recipients and/or repeat renal transplant recipients who lost a previous allograft for immunologic reason and/or patients with high panel-reactive antibodies [PRA; peak PRA level > 80%]), it is recommended that Sirolimus Oral Solution be used in combination with cyclosporine and corticosteroids for the first year following transplantation [see Dosage and Administration (2.3), Clinical Studies (14.3)]. In patients at high-immunologic risk, the safety and efficacy of Sirolimus Oral Solution used in combination with cyclosporine and corticosteroids has not been studied beyond one year; therefore after the first 12 months following transplantation, any adjustments to the immunosuppressive regimen should be considered on the basis of the clinical status of the patient [see Clinical Studies (14.3)]. In pediatric patients, the safety and efficacy of Sirolimus Oral Solution have not been established in patients < 13 years old, or in pediatric (< 18 years) renal transplant patients considered at high-immunologic risk [see Adverse Reactions (6.5), Clinical Studies (14.6)]. The safety and efficacy of de novo use of Sirolimus Oral Solution without cyclosporine have not been established in renal transplant patients [see Warnings and Precautions (5.12)]. The safety and efficacy of conversion from calcineurin inhibitors to Sirolimus Oral Solution in maintenance renal transplantpatients have not been established [see Clinical Studies (14.4)]. 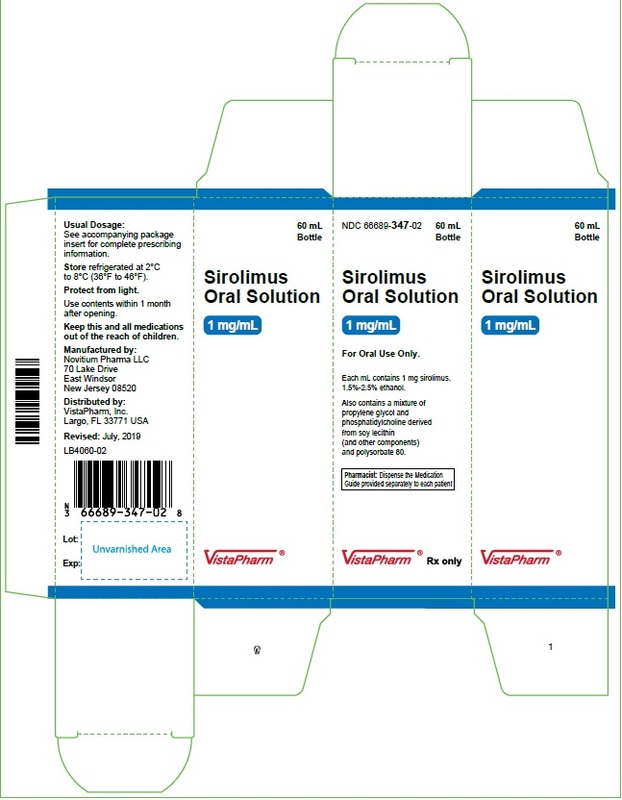 Sirolimus Oral Solution is to be administered orally once daily, consistently with or without food [see Dosage and Administration (2.5), Clinical Pharmacology (12.3)]. The initial dose of Sirolimus Oral Solution should be administered as soon as possible after transplantation. It is recommended that Sirolimus Oral Solution be taken 4 hours after administration of cyclosporine oral solution (MODIFIED) and/or cyclosporine capsules (MODIFIED) [see Drug Interactions (7.2)]. Frequent Sirolimus Oral Solution dose adjustments based on non-steady-state sirolimus concentrations can lead to overdosing or underdosing because sirolimus has a long half-life. Once Sirolimus Oral Solution maintenance dose is adjusted, patients should continue on the new maintenance dose for at least 7 to 14 days before further dosage adjustment with concentration monitoring. In most patients, dose adjustments can be based on simple proportion: new Sirolimus Oral Solution dose = current dose x (target concentration/current concentration). A loading dose should be considered in addition to a new maintenance dose when it is necessary to increase sirolimus trough concentrations: Sirolimus Oral Solution loading dose = 3 x (new maintenance dose - current maintenance dose). The maximum Sirolimus Oral Solution dose administered on any day should not exceed 40 mg. If an estimated daily dose exceeds 40 mg due to the addition of a loading dose, the loading dose should be administered over 2 days. Sirolimus trough concentrations should be monitored at least 3 to 4 days after a loading dose(s). Two milligrams (2 mg) of Sirolimus Oral Solution have been demonstrated to be clinically equivalent to 2 mg Sirolimus Tablets; hence, at this dose these two formulations are interchangeable. However, it is not known if higher doses of Sirolimus Oral Solution are clinically equivalent to higher doses of Sirolimus Tablets on a mg-to-mg basis [see Clinical Pharmacology (12.3)]. For de novo renal transplant patients, it is recommended that Sirolimus Oral Solution and Tablets be used initially in a regimen with cyclosporine and corticosteroids. A loading dose of sirolimus equivalent to 3 times the maintenance dose should be given, i.e. a daily maintenance dose of 2 mg should be preceded with a loading dose of 6 mg. Therapeutic drug monitoring should be used to maintain sirolimus drug concentrations within the target-range [see Dosage and Administration (2.5)]. At 2 to 4 months following transplantation, cyclosporine should be progressively discontinued over 4 to 8 weeks, and the Sirolimus Oral Solution dose should be adjusted to obtain sirolimus whole blood trough concentrations within the target-range [see Dosage and Administration (2.5)]. Because cyclosporine inhibits the metabolism and transport of sirolimus, sirolimus concentrations may decrease when cyclosporine is discontinued, unless the Sirolimus Oral Solution dose is increased [see Clinical Pharmacology (12.3)]. In patients with high-immunologic risk, it is recommended that Sirolimus Oral Solution be used in combination with cyclosporine and corticosteroids for the first 12 months following transplantation [see Clinical Studies (14.3)]. The safety and efficacy of this combination in high-immunologic risk patients has not been studied beyond the first 12 months. Therefore, after the first 12 months following transplantation, any adjustments to the immunosuppressive regimen should be considered on the basis of the clinical status of the patient. For patients receiving Sirolimus Oral Solution with cyclosporine, Sirolimus Oral Solution therapy should be initiated with a loading dose of up to 15 mg on day 1 post-transplantation. Beginning on day 2, an initial maintenance dose of 5 mg/day should be given. A trough level should be obtained between days 5 and 7, and the daily dose of Sirolimus Oral Solution should thereafter be adjusted [see Dosage and Administration (2.5)]. Monitoring of sirolimus trough concentrations is recommended for all patients, especially in those patients likely to have altered drug metabolism, in patients ≥ 13 years who weigh less than 40 kg, in patients with hepatic impairment, when a change in the sirolimus dosage form is made, and during concurrent administration of strong CYP3A4 inducers and inhibitors [see Drug Interactions (7)]. Therapeutic drug monitoring should not be the sole basis for adjusting sirolimus therapy. Careful attention should be made to clinical signs/symptoms, tissue biopsy findings, and laboratory parameters. trough concentrations. Since results are assay and laboratory dependent, and the results may change over time, adjustments to the targeted therapeutic range must be made with a detailed knowledge of the site-specific assay used. Therefore, communication should be maintained with the laboratory performing the assay. A discussion of different assay methods is contained in Clinical Therapeutics, Volume 22, Supplement B, April 2000 [see References (15)]. It is recommended that the maintenance dose of Sirolimus Oral Solution be reduced by approximately one third in patients with mild or moderate hepatic impairment and by approximately one half in patients with severe hepatic impairment. It is not necessary to modify the Sirolimus Oral Solution loading dose [see Use in Specific Populations (8.6), Clinical Pharmacology (12.3)]. The amber oral dose syringe should be used to withdraw the prescribed amount of Sirolimus Oral Solution from the bottle. 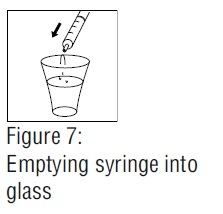 Empty the correct amount of Sirolimus Oral Solution from the syringe into only a glass or plastic container holding at least two (2) ounces (1/4 cup, 60 mL) of water or orange juice. No other liquids, including grapefruit juice, should be used for dilution [see Drug Interactions (7.3), Clinical Pharmacology (12.3)]. Stir vigorously and drink at once. Refill the container with an additional volume [minimum of four (4) ounces (1/2 cup, 120 mL)] of water or orange juice, stir vigorously, and drink at once. Sirolimus Oral Solution contains polysorbate 80, which is known to increase the rate of di-(2-ethylhexyl)phthalate (DEHP) extraction from polyvinyl chloride (PVC). This should be considered during the preparation and administration of Sirolimus Oral Solution. It is important that these recommendations be followed closely. Sirolimus Oral Solution is contraindicated in patients with a hypersensitivity to sirolimus [see Warnings and Precautions (5.4)]. Increased susceptibility to infection and the possible development of lymphoma and other malignancies, particularly of the skin, may result from immunosuppression. The rates of lymphoma/lymphoproliferative disease observed in Studies 1 and 2 were 0.7-3.2% (for sirolimus-treated patients) versus 0.6-0.8% (azathioprine and placebo control) [see Adverse Reactions (6.1) and (6.2)]. Oversuppression of the immune system can also increase susceptibility to infection, including opportunistic infections such as tuberculosis, fatal infections, and sepsis. Only physicians experienced in immunosuppressive therapy and management of organ transplant patients should use sirolimus for prophylaxis of organ rejection in patients receiving renal transplants. Patients receiving the drug should be managed in facilities equipped and staffed with adequate laboratory and supportive medical resources. The physician responsible for maintenance therapy should have complete information requisite for the follow-up of the patient. The safety and efficacy of sirolimus as immunosuppressive therapy have not been established in liver transplant patients; therefore, such use is not recommended. The use of sirolimus has been associated with adverse outcomes in patients following liver transplantation, including excess mortality, graft loss and hepatic artery thrombosis (HAT). In a study in de novo liver transplant patients, the use of sirolimus in combination with tacrolimus was associated with excess mortality and graft loss (22% in combination versus 9% on tacrolimus alone). Many of these patients had evidence of infection at or near the time of death. In this and another study in de novo liver transplant patients, the use of sirolimus in combination with cyclosporine or tacrolimus was associated with an increase in HAT (7% in combination versus 2% in the control arm); most cases of HAT occurred within 30 days post-transplantation, and most led to graft loss or death. In a clinical study in stable liver transplant patients 6-144 months post-liver transplantation and receiving a CNI-based regimen, an increased number of deaths was observed in the group converted to a sirolimus-based regimen compared to the group who was continued on a CNI-based regimen, although the difference was not statistically significant (3.8% versus 1.4%) [see Clinical Studies (14.5)]. Cases of bronchial anastomotic dehiscence, most fatal, have been reported in de novo lung transplant patients when sirolimus has been used as part of an immunosuppressive regimen. The safety and efficacy of sirolimus as immunosuppressive therapy have not been established in lung transplant patients; therefore, such use is not recommended. Hypersensitivity reactions, including anaphylactic/anaphylactoid reactions, angioedema, exfoliative dermatitis and hypersensitivity vasculitis, have been associated with the administration of sirolimus [see Adverse Reactions (6.7)]. Sirolimus has been associated with the development of angioedema. The concomitant use of sirolimus with other drugs known to cause angioedema, such as angiotensin-converting enzyme (ACE) inhibitors, may increase the risk of developing angioedema. Elevated sirolimus levels (with/without concomitant ACE inhibitors) may also potentiate angioedema [see Drug Interactions (7.2)]. In some cases, the angioedema has resolved upon discontinuation or dose reduction of sirolimus. to minimize such complications. Patients with a body mass index (BMI) greater than 30 kg/m2 may be at increased risk of abnormal wound healing based on data from the medical literature. There have also been reports of fluid accumulation, including peripheral edema, lymphedema, pleural effusion, ascites, and pericardial effusions (including hemodynamically significant effusions and tamponade requiring intervention in children and adults), in patients receiving sirolimus. Increased serum cholesterol and triglycerides requiring treatment occurred more frequently in patients treated with sirolimus compared with azathioprine or placebo controls in Studies 1 and 2 [see Adverse Reactions (6.1)]. There were increased incidences of hypercholesterolemia (43-46%) and/or hypertriglyceridemia (45-57%) in patients receiving sirolimus compared with placebo controls (each 23%). The risk/benefit should be carefully considered in patients with established hyperlipidemia before initiating an immunosuppressive regimen including sirolimus. Any patient who is administered sirolimus should be monitored for hyperlipidemia. If detected, interventions such as diet, exercise, and lipid-lowering agents should be initiated as outlined by the National Cholesterol Education Program guidelines. In clinical trials of patients receiving sirolimus plus cyclosporine or sirolimus after cyclosporine withdrawal, up to 90% of patients required treatment for hyperlipidemia and hypercholesterolemia with anti-lipid therapy (e.g., statins, fibrates). Despite anti-lipid management, up to 50% of patients had fasting serum cholesterol levels >240 mg/dL and triglycerides above recommended target levels. The concomitant administration of sirolimus and HMG-CoA reductase inhibitors resulted in adverse reactions such as CPK elevations (3%), myalgia (6.7%) and rhabdomyolysis (<1%). In these trials, the number of patients was too small and duration of follow-up too short to evaluate the long-term impact of sirolimus on cardiovascular mortality. During sirolimus therapy with or without cyclosporine, patients should be monitored for elevated lipids, and patients administered an HMG-CoA reductase inhibitor and/or fibrate should be monitored for the possible development of rhabdomyolysis and other adverse effects, as described in the respective labeling for these agents. Renal function should be closely monitored during the co-administration of sirolimus with cyclosporine, because long-term administration of the combination has been associated with deterioration of renal function. Patients treated with cyclosporine and sirolimus were noted to have higher serum creatinine levels and lower glomerular filtration rates compared with patients treated with cyclosporine and placebo or azathioprine controls (Studies 1 and 2). The rate of decline in renal function in these studies was greater in patients receiving sirolimus and cyclosporine compared with control therapies. Appropriate adjustment of the immunosuppressive regimen, including discontinuation of sirolimus and/or cyclosporine, should be considered in patients with elevated or increasing serum creatinine levels. In patients at low- to moderate-immunologic risk, continuation of combination therapy with cyclosporine beyond 4 months following transplantation should only be considered when the benefits outweigh the risks of this combination for the individual patients. Caution should be exercised when using agents (e.g., aminoglycosides and amphotericin B) that are known to have a deleterious effect on renal function. In patients with delayed graft function, sirolimus may delay recovery of renal function. Periodic quantitative monitoring of urinary protein excretion is recommended. In a study evaluating conversion from calcineurin inhibitors (CNI) to sirolimus in maintenance renal transplant patients 6-120 months post-transplant, increased urinary protein excretion was commonly observed from 6 through 24 months after conversion to sirolimus compared with CNI continuation [see Clinical Studies (14.4), Adverse Reactions (6.4)]. Patients with the greatest amount of urinary protein excretion prior to sirolimus conversion were those whose protein excretion increased the most after conversion. New onset nephrosis (nephrotic syndrome) was also reported as a treatment-emergent adverse reaction in 2.2% of the sirolimus conversion group patients in comparison to 0.4% in the CNI continuation group of patients. Nephrotic range proteinuria (defined as urinary protein to creatinine ratio > 3.5) was also reported in 9.2% in the sirolimus conversion group of patients in comparison to 3.7% in the CNI continuation group of patients. In some patients, reduction in the degree of urinary protein excretion was observed for individual patients following discontinuation of sirolimus. The safety and efficacy of conversion from calcineurin inhibitors to sirolimus in maintenance renal transplant patients have not been established. Immunosuppressed patients are at increased risk for opportunistic infections, including activation of latent viral infections. These include BK virus-associated nephropathy, which has been observed in renal transplant patients receiving immunosuppressants, including sirolimus. This infection may be associated with serious outcomes, including deteriorating renal function and renal graft loss [see Adverse Reactions (6.7)]. Patient monitoring may help detect patients at risk for BK virus-associated nephropathy. Reduction in immunosuppression should be considered for patients who develop evidence of BK virus-associated nephropathy. Cases of progressive multifocal leukoencephalopathy (PML), sometimes fatal have been reported in patients treated with immunosuppressants, including sirolimus. PML commonly presents with hemiparesis, apathy, confusion, cognitive deficiencies and ataxia. Risk factors for PML include treatment with immunosuppressant therapies and impairment of immune function. In immunosuppressed patients, physicians should consider PML in the differential diagnosis in patients reporting neurological symptoms and consultation with a neurologist should be considered as clinically indicated. Consideration should be given to reducing the amount of immunosuppression in patients who develop PML. In transplant patients, physicians should also consider the risk that reduced immunosuppression represents to the graft. Cases of interstitial lung disease [ILD] (including pneumonitis, bronchiolitis obliterans organizing pneumonia [BOOP], and pulmonary fibrosis), some fatal, with no identified infectious etiology have occurred in patients receiving immunosuppressive regimens including sirolimus. In some cases, the ILD was reported with pulmonary hypertension (including pulmonary arterial hypertension [PAH]) as a secondary event. In some cases, the ILD has resolved upon discontinuation or dose reduction of sirolimus. The risk may be increased as the trough sirolimus concentration increases [see Adverse Reactions (6.7)]. The safety and efficacy of de novo use of sirolimus without cyclosporine is not established in renal transplant patients. In a multicenter clinical study, de novo renal transplant patients treated with sirolimus, mycophenolate mofetil (MMF), steroids, and an IL-2 receptor antagonist had significantly higher acute rejection rates and numerically higher death rates compared to patients treated with cyclosporine, MMF, steroids, and IL-2 receptor antagonist. A benefit, in terms of better renal function, was not apparent in the treatment arm with de novo use of sirolimus without cyclosporine. These findings were also observed in a similar treatment group of another clinical trial. The concomitant use of sirolimus with a calcineurin inhibitor may increase the risk of calcineurin inhibitor-induced hemolytic uremic syndrome/thrombotic thrombocytopenic purpura/thrombotic microangiopathy (HUS/TTP/TMA) [see Adverse Reactions (6.7)]. Avoid concomitant use of sirolimus with strong inhibitors of CYP3A4 and/or P-gp (such as ketoconazole, voriconazole, itraconazole, erythromycin, telithromycin, or clarithromycin) or strong inducers of CYP3A4 and/or P-gp (such as rifampin or rifabutin) [see Drug Interactions (7.2)]. The most common (≥ 30%) adverse reactions observed with sirolimus in clinical studies for organ rejection prophylaxis in recipients of renal transplantation are: peripheral edema, hypertriglyceridemia, hypertension, hypercholesterolemia, creatinine increased, constipation, abdominal pain, diarrhea, headache, fever, urinary tract infection, anemia, nausea, arthralgia, pain, and thrombocytopenia. The following adverse reactions resulted in a rate of discontinuation of > 5% in clinical trials for renal transplant rejection prophylaxis: creatinine increased, hypertriglyceridemia, and TTP. The safety and efficacy of Sirolimus Oral Solution for the prevention of organ rejection following renal transplantation were assessed in two randomized, double-blind, multicenter, controlled trials [see Clinical Studies (14.1)]. The safety profiles in the two studies were similar. The incidence of adverse reactions in the randomized, double-blind, multicenter, placebo-controlled trial (Study 2) in which 219 renal transplant patients received Sirolimus Oral Solution 2 mg/day, 208 received Sirolimus Oral Solution 5 mg/day, and 124 received placebo is presented in Table 1 below. The study population had a mean age of 46 years (range 15 to 71 years), the distribution was 67% male, and the composition by race was: White (78%), Black (11%), Asian (3%), Hispanic (2%), and Other (5%). All patients were treated with cyclosporine and corticosteroids. Data (≥ 12 months post-transplant) presented in the following table show the adverse reactions that occurred in at least one of the sirolimus treatment groups with an incidence of ≥ 20%. In general, adverse reactions related to the administration of sirolimus were dependent on dose/concentration. Although a daily maintenance dose of 5 mg, with a loading dose of 15 mg, was shown to be safe and effective, no efficacy advantage over the 2 mg dose could be established for renal transplant patients. Patients receiving 2 mg of Sirolimus Oral Solution per day demonstrated an overall better safety profile than did patients receiving 5 mg of Sirolimus Oral Solution per day. aPatients received cyclosporine and corticosteroids. Urogenital System – Pyelonephritis, decline in renal function (creatinine increased) in long-term combination of cyclosporine with sirolimus [see Warnings and Precautions (5.8)], ovarian cysts, menstrual disorders (including amenorrhea and menorrhagia). The use of sirolimus in renal transplant patients was associated with increased serum cholesterol and triglycerides that may require treatment. In Studies 1 and 2, in de novo renal transplant patients who began the study with fasting, total serum cholesterol < 200 mg/dL or fasting, total serum triglycerides < 200 mg/dL, there was an increased incidence of hypercholesterolemia (fasting serum cholesterol > 240 mg/dL) or hypertriglyceridemia (fasting serum triglycerides > 500 mg/dL), respectively, in patients receiving both sirolimus 2 mg and sirolimus 5 mg compared with azathioprine and placebo controls. Treatment of new-onset hypercholesterolemia with lipid-lowering agents was required in 42-52% of patients enrolled in the sirolimus arms of Studies 1 and 2 compared with 16% of patients in the placebo arm and 22% of patients in the azathioprine arm. In other sirolimus renal transplant studies, up to 90% of patients required treatment for hyperlipidemia and hypercholesterolemia with anti-lipid therapy (e.g., statins, fibrates). Despite anti-lipid management, up to 50% of patients had fasting serum cholesterol levels >240 mg/dL and triglycerides above recommended target levels [see Warnings and Precautions (5.7)]. bIncludes patients who prematurely discontinued treatment. cPatients may be counted in more than one category. The incidence of adverse reactions was determined through 36 months in a randomized, multicenter, controlled trial (Study 3) in which 215 renal transplant patients received sirolimus as a maintenance regimen following cyclosporine withdrawal, and 215 patients received sirolimus with cyclosporine therapy [see Clinical Studies (14.2)]. All patients were treated with corticosteroids. The safety profile prior to randomization (start of cyclosporine withdrawal) was similar to that of the 2 mg sirolimus groups in Studies 1 and 2.
and gum hyperplasia. Mean systolic and diastolic blood pressure improved significantly following cyclosporine withdrawal. In Study 3, the incidence of lymphoma/lymphoproliferative disease was similar in all treatment groups. The overall incidence of malignancy was higher in patients receiving sirolimus plus cyclosporine compared with patients who had cyclosporine withdrawn. Conclusions regarding these differences in the incidence of malignancy could not be made because Study 3 was not designed to consider malignancy risk factors or systematically screen subjects for malignancy. In addition, more patients in the sirolimus with cyclosporine group had a pretransplantation history of skin carcinoma. Safety was assessed in 224 patients who received at least one dose of sirolimus with cyclosporine [see Clinical Studies (14.3)]. Overall, the incidence and nature of adverse reactions was similar to those seen in previous combination studies with sirolimus. The incidence of malignancy was 1.3% at 12 months. The safety and efficacy of conversion from calcineurin inhibitors to sirolimus in maintenance renal transplant population have not been established [see Clinical Studies (14.4)]. In a study evaluating the safety and efficacy of conversion from calcineurin inhibitors to sirolimus (initial target sirolimus concentrations of 12-20 ng/mL, and then 8-20 ng/mL, by chromatographic assay) in maintenance renal transplant patients, enrollment was stopped in the subset of patients (n = 87) with a baseline glomerular filtration rate of less than 40 mL/min. There was a higher rate of serious adverse events, including pneumonia, acute rejection, graft loss and death, in this stratum of the sirolimus treatment arm. In the subset of patients with a baseline glomerular filtration rate of greater than 40 mL/min, there was no benefit associated with conversion with regard to improvement in renal function and a greater incidence of proteinuria in the sirolimus conversion arm. In a second study evaluating the safety and efficacy of conversion from tacrolimus to Sirolimus 3 to 5 months post kidney transplant, a higher rate of adverse events, discontinuations due to adverse events, acute rejection, and new onset diabetes mellitus was observed following conversion to Sirolimus. There was also no benefit with respect to renal function and a greater incidence of proteinuria was observed after conversion to sirolimus [(see Clinical Studies (14.4)]. Safety was assessed in a controlled clinical trial in pediatric (< 18 years of age) renal transplant patients considered at high-immunologic risk, defined as a history of one or more acute allograft rejection episodes and/or the presence of chronic allograft nephropathy on a renal biopsy [see Clinical Studies (14.6)]. The use of sirolimus in combination with calcineurin inhibitors and corticosteroids was associated with a higher incidence of deterioration of renal function (creatinine increased) compared to calcineurin inhibitor-based therapy, serum lipid abnormalities (including, but not limited to, increased serum triglycerides and cholesterol), and urinary tract infections. The following adverse reactions have been identified during post-approval use of sirolimus in transplant patients. Because these reactions are reported voluntarily from a population of uncertain size, it is not always possible to reliably estimate their frequency or establish a causal relationship to drug exposure. Infections – Tuberculosis. BK virus associated nephropathy has been observed in patients receiving immunosuppressants, including sirolimus. This infection may be associated with serious outcomes, including deteriorating renal function and renal graft loss. Cases of progressive multifocal leukoencephalopathy (PML), sometimes fatal, have been reported in patients treated with immunosuppressants, including sirolimus [see Warnings and Precautions (5.10)]. Clostridium difficile enterocolitis. Respiratory – Cases of interstitial lung disease (including pneumonitis, bronchiolitis obliterans organizing pneumonia [BOOP], and pulmonary fibrosis), some fatal, with no identified infectious etiology have occurred in patients receiving immunosuppressive regimens including sirolimus. In some cases, the interstitial lung disease has resolved upon discontinuation or dose reduction of sirolimus. The risk may be increased as the sirolimus trough concentration increases [see Warnings and Precautions (5.11)]; pulmonary hemorrhage; pleural effusion; alveolar proteinosis. Urogenital – Nephrotic syndrome, proteinuria, focal segmental glomerulosclerosis, ovarian cysts, menstrual disorders (including amenorrhea and menorrhagia). Azoospermia has been reported with the use of sirolimus and has been reversible upon discontinuation of sirolimus in most cases. Cyclosporine, a substrate and inhibitor of CYP3A4 and P-gp, was demonstrated to increase sirolimus concentrations when co-administered with sirolimus. In order to diminish the effect of this interaction with cyclosporine, it is recommended that sirolimus be taken 4 hours after administration of cyclosporine oral solution (MODIFIED) and/or cyclosporine capsules (MODIFIED). If cyclosporine is withdrawn from combination therapy with sirolimus, higher doses of sirolimus are needed to maintain the recommended sirolimus trough concentration ranges [see Dosage and Administration (2.2), Clinical Pharmacology (12.3)]. Because grapefruit juice inhibits the CYP3A4-mediated metabolism of sirolimus, it must not be taken with or be used for dilution of sirolimus [see Dosage and Administration (2.9), Drug Interactions (7.3), Clinical Pharmacology (12.3)]. Exercise caution when using sirolimus with drugs or agents that are modulators of CYP3A4 and P-gp. The dosage of sirolimus and/or the co-administered drug may need to be adjusted [see Clinical Pharmacology (12.3)]. Immunosuppressants may affect response to vaccination. Therefore, during treatment with sirolimus, vaccination may be less effective. The use of live vaccines should be avoided; live vaccines may include, but are not limited to, the following: measles, mumps, rubella, oral polio, BCG, yellow fever, varicella, and TY21a typhoid. Pregnancy Category C: Sirolimus was embryo/fetotoxic in rats when given in doses approximately 0.2 to 0.5 the human doses (adjusted for body surface area). Embryo/fetotoxicity was manifested as mortality and reduced fetal weights (with associated delays in skeletal ossification). However, no teratogenesis was evident. In combination with cyclosporine, rats had increased embryo/feto mortality compared with sirolimus alone. There were no effects on rabbit development at a maternally toxic dosage approximately 0.3 to 0.8 times the human doses (adjusted for body surface area). There are no adequate and well-controlled studies in pregnant women. Effective contraception must be initiated before sirolimus therapy, during sirolimus therapy, and for 12 weeks after sirolimus therapy has been stopped. The safety and efficacy of sirolimus in pediatric patients < 13 years have not been established. The safety and efficacy of sirolimus oral solution have been established for prophylaxis of organ rejection in renal transplantation in children ≥ 13 years judged to be at low- to moderate-immunologic risk. Use of sirolimus oral solution in this subpopulation of children ≥ 13 years is supported by evidence from adequate and well-controlled trials of sirolimus oral solution in adults with additional pharmacokinetic data in pediatric renal transplantation patients [see Clinical Pharmacology (12.3)]. Safety and efficacy information from a controlled clinical trial in pediatric and adolescent (< 18 years of age) renal transplant patients judged to be at high-immunologic risk, defined as a history of one or more acute rejection episodes and/or the presence of chronic allograft nephropathy, do not support the chronic use of sirolimus oral solution in combination with calcineurin inhibitors and corticosteroids, due to the higher incidence of lipid abnormalities and deterioration of renal function associated with these immunosuppressive regimens compared to calcineurin inhibitors, without increased benefit with respect to acute rejection, graft survival, or patient survival [see Clinical Studies (14.6)]. Clinical studies of sirolimus oral solution did not include sufficient numbers of patients ≥ 65 years to determine whether they respond differently from younger patients. Data pertaining to sirolimus trough concentrations suggest that dose adjustments based upon age in geriatric renal patients are not necessary. Differences in responses between the elderly and younger patients have not been identified. In general, dose selection for an elderly patient should be cautious, usually starting at the low end of the dosing range, reflecting the greater frequency of decreased hepatic, or cardiac function, and of concomitant disease or other drug therapy. The maintenance dose of sirolimus should be reduced in patients with hepatic impairment [see Dosage and Administration (2.7), Clinical Pharmacology (12.3)]. Reports of overdose with sirolimus have been received; however, experience has been limited. In general, the adverse effects of overdose are consistent with those listed in the adverse reactions section [see Adverse Reactions (6)]. Sirolimus is an immunosuppressive agent. Sirolimus is a macrocyclic lactone produced by Streptomyces hygroscopicus. The chemical name of sirolimus (also known as rapamycin) is (3S,6R,7E,9R,10R,12R,14S,15E,17E,19E,21S, 23S,26R,27R, 34aS )-9,10,12,13,14,21,22,23,24,25,26,27,32,33,34,34a hexadecahydro-9,27-dihydroxy-3-[(1R)-2-[(1S,3R,4R)-4-hydroxy-3- methoxycyclohexyl]-1-methylethyl]-10,21-dimethoxy-6,8,12,14,20,26-hexamethyl-23,27 epoxy-3H-pyrido[2,1-C][1,4] oxaazacyclohentriacontine-1,5,11,28,29 (4H,6H,31H)-pentone. Its molecular formula is C51H79NO13 and its molecular weight is 914.2. The structural formula of sirolimus is illustrated as follows. Sirolimus is a white to off-white powder and is practically insoluble in water, but freely soluble in acetone, dimethyl sulfoxide and methanol. Sirolimus is available for administration as an oral solution containing 1 mg/mL sirolimus. The inactive ingredients in Sirolimus Oral Solution are Phosal® 50 PG (alcohol, ascorbyl palmitate, phosphatidylcholine, propylene glycol, soy acid, soy lecithin, sunflower seed oil glyceride, and tocopherol) and polysorbate 80. Sirolimus Oral Solution contains 1.5% - 2.5% ethanol. Sirolimus inhibits T-lymphocyte activation and proliferation that occurs in response to antigenic and cytokine (Interleukin [IL]-2, IL-4, and IL-15) stimulation by a mechanism that is distinct from that of other immunosuppressants. Sirolimus also inhibits antibody production. In cells, sirolimus binds to the immunophilin, FK Binding Protein-12 (FKBP-12), to generate an immunosuppressive complex. The sirolimus: FKBP-12 complex has no effect on calcineurin activity. This complex binds to and inhibits the activation of the mammalian target of rapamycin (mTOR), a key regulatory kinase. This inhibition suppresses cytokine-driven T-cell proliferation, inhibiting the progression from the G1 to the S phase of the cell cycle. Orally-administered sirolimus, at doses of 2 mg/day and 5 mg/day, significantly reduced the incidence of organ rejection in low to moderate-immunologic risk renal transplant patients at 6 months following transplantation compared with either azathioprine or placebo [see Clinical Studies (14.1)]. There was no demonstrable efficacy advantage of a daily maintenance dose of 5 mg with a loading dose of 15 mg over a daily maintenance dose of 2 mg with a loading dose of 6 mg. Therapeutic drug monitoring should be used to maintain sirolimus drug levels within the target-range [see Dosage and Administration (2.5)]. The pharmacokinetic parameters of sirolimus in low- to moderate-immunologic risk adult renal transplant patients following multiple dosing with sirolimus 2 mg daily, in combination with cyclosporine and corticosteroids, is summarized in Table 4.
aIn presence of cyclosporine administered 4 hours before sirolimus dosing. bBased on data collected at months 1 and 3 post-transplantation. cAverage Cmin over 6 months. Whole blood trough sirolimus concentrations, as measured by LC/MS/MS in renal transplant patients, were significantly correlated with AUCt, ss. Upon repeated, twice-daily administration without an initial loading dose in a multiple-dose study, the average trough concentration of sirolimus increases approximately 2- to 3-fold over the initial 6 days of therapy, at which time steady-state is reached. A loading dose of 3 times the maintenance dose will provide near steady-state concentrations within 1 day in most patients [see Dosage and Administration (2.3, 2.5), Warning and Precautions (5.16)]. Following administration of sirolimus oral solution, the mean times to peak concentration (tmax) of sirolimus are approximately 1 hour and 2 hours in healthy subjects and renal transplant patients, respectively. The systemic availability of sirolimus is low, and was estimated to be approximately 14% after the administration of sirolimus oral solution. In healthy subjects, the mean bioavailability of sirolimus after administration of the tablet is approximately 27% higher relative to the solution. Sirolimus tablets are not bioequivalent to the solution; however, clinical equivalence has been demonstrated at the 2 mg dose level. Sirolimus concentrations, following the administration of sirolimus oral solution to stable renal transplant patients, are dose-proportional between 3 and 12 mg/m2. To minimize variability in sirolimus concentrations, both sirolimus oral solution should be taken consistently with or without food [see Dosage and Administration (2)]. In healthy subjects, a high-fat meal (861.8 kcal, 54.9% kcal from fat) increased the mean total exposure (AUC) of sirolimus by 23 to 35%, compared with fasting. The effect of food on the mean sirolimus Cmax was inconsistent depending on the sirolimus dosage form evaluated. The following sirolimus concentrations (chromatographic equivalent) were observed in phase 3 clinical studies for prophylaxis of organ rejection in de novo renal transplant patients [see Clinical Studies (14)]. The withdrawal of cyclosporine and concurrent increases in sirolimus trough concentrations to steady-state required approximately 6 weeks. Following cyclosporine withdrawal, larger Sirolimus doses were required due to the absence of the inhibition of sirolimus metabolism and transport by cyclosporine and to achieve higher target sirolimus trough concentrations during concentration-controlled administration [see Dosage and Administration (2.1), Drug Interactions (7.1)]. Sirolimus was administered as a single, oral dose to subjects with normal hepatic function and to patients with Child-Pugh classification A (mild), B (moderate), or C (severe) hepatic impairment. Compared with the values in the normal hepatic function group, the patients with mild, moderate, and severe hepatic impairment had 43%, 94%, and 189% higher mean values for sirolimus AUC, respectively, with no statistically significant differences in mean Cmax. As the severity of hepatic impairment increased, there were steady increases in mean sirolimus t1/2, and decreases in the mean sirolimus clearance normalized for body weight (CL/F/kg). The maintenance dose of sirolimus should be reduced by approximately one third in patients with mild-to-moderate hepatic impairment and by approximately one half in patients with severe hepatic impairment [see Dosage and Administration (2.5)].It is not necessary to modify the sirolimus loading dose in patients with mild, moderate, and severe hepatic impairment. Therapeutic drug monitoring is necessary in all patients with hepatic impairment [see Dosage and Administration (2.7)]. The effect of renal impairment on the pharmacokinetics of sirolimus is not known. However, there is minimal (2.2%) renal excretion of the drug or its metabolites in healthy volunteers. The loading and the maintenance doses of sirolimus need not be adjusted in patients with renal impairment [see Dosage and Administration (2.6)]. Sirolimus pharmacokinetic data were collected in concentration-controlled trials of pediatric renal transplant patients who were also receiving cyclosporine and corticosteroids. The target ranges for trough concentrations were either 10-20 ng/mL for the 21 children receiving tablets, or 5-15 ng/mL for the one child receiving oral solution. The children aged 6-11 years (n = 8) received mean ± SD doses of 1.75 ± 0.71 mg/day (0.064 ± 0.018 mg/kg, 1.65 ± 0.43 mg/m2). The children aged 12-18 years (n = 14) received mean ± SD doses of 2.79 ± 1.25 mg/day (0.053 ± 0.0150 mg/kg, 1.86 ± 0.61 mg/m2). At the time of sirolimus blood sampling for pharmacokinetic evaluation, the majority (80%) of these pediatric patients received the sirolimus dose at 16 hours after the once-daily cyclosporine dose. See Table 6 below. aSirolimus co-administered with cyclosporine oral solution [MODIFIED] (e.g., Neoral® Oral Solution) and/or cyclosporine capsules [MODIFIED] (e.g., Neoral® Soft Gelatin Capsules). cOral-dose clearance adjusted by either body weight (kg) or body surface area (m2). aAll subjects received Sirolimus Oral Solution. Clinical studies of sirolimus did not include a sufficient number of patients > 65 years of age to determine whether they will respond differently than younger patients. After the administration of sirolimus oral solution, sirolimus trough concentration data in renal transplant patients > 65 years of age were similar to those in the adult population 18 to 65 years of age. In the phase 3 trials for the prophylaxis of organ rejection following renal transplantation using sirolimus solution or tablets and cyclosporine oral solution [MODIFIED] (e.g., Neoral® Oral Solution) and/or cyclosporine capsules [MODIFIED] (e.g., Neoral® Soft Gelatin Capsules) [see Clinical Studies (14)], there were no significant differences in mean trough sirolimus concentrations over time between Black (n = 190) and non-Black (n = 852) patients during the first 6 months after transplantation. 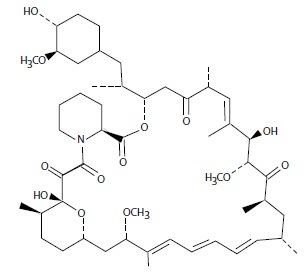 Cyclosporine: Cyclosporine is a substrate and inhibitor of CYP3A4 and P-gp. Sirolimus should be taken 4 hours after administration of cyclosporine oral solution (MODIFIED) and/or cyclosporine capsules (MODIFIED). Sirolimus concentrations may decrease when cyclosporine is discontinued, unless the sirolimus dose is increased [see Dosage and Administration (2.2), Drug Interactions (7.1)]. In a single-dose drug-drug interaction study, 24 healthy volunteers were administered 10 mg sirolimus tablets either simultaneously or 4 hours after a 300-mg dose of Neoral® Soft Gelatin Capsules (cyclosporine capsules [MODIFIED]). For simultaneous administration, mean Cmax and AUC were increased by 512% and 148%, respectively, relative to administration of sirolimus alone. However, when given 4 hours after cyclosporine administration, sirolimus Cmax and AUC were both increased by only 33% compared with administration of sirolimus alone. In a single dose drug-drug interaction study, 24 healthy volunteers were administered 10 mg Sirolimus Oral Solution either simultaneously or 4 hours after a 300 mg dose of Neoral® Soft Gelatin Capsules (cyclosporine capsules [MODIFIED]). For simultaneous administration, the mean Cmax and AUC of sirolimus, following simultaneous administration were increased by 116% and 230%, respectively, relative to administration of sirolimus alone. However, when given 4 hours after Neoral® Soft Gelatin Capsules (cyclosporine capsules [MODIFIED]) administration, sirolimus Cmax and AUC were increased by only 37% and 80%, respectively, compared with administration of sirolimus alone. In a single-dose cross-over drug-drug interaction study, 33 healthy volunteers received 5 mg sirolimus oral solution alone, 2 hours before, and 2 hours after a 300 mg dose of Neoral® Soft Gelatin Capsules (cyclosporine capsules [MODIFIED]). When given 2 hours before Neoral® Soft Gelatin Capsules (cyclosporine capsules [MODIFIED]) administration, sirolimus Cmax and AUC were comparable to those with administration of sirolimus alone. However, when given 2 hours after, the mean Cmax and AUC of sirolimus were increased by 126% and 141%, respectively, relative to administration of sirolimus alone. Mean cyclosporine Cmax and AUC were not significantly affected when sirolimus oral solution was given simultaneously or when administered 4 hours after Neoral® Soft Gelatin Capsules (cyclosporine capsules [MODIFIED]). However, after multiple-dose administration of sirolimus given 4 hours after Neoral® in renal post-transplant patients over 6 months, cyclosporine oral-dose clearance was reduced, and lower doses of Neoral® Soft Gelatin Capsules (cyclosporine capsules [MODIFIED]) were needed to maintain target cyclosporine concentration. In a multiple-dose study in 150 psoriasis patients, sirolimus 0.5, 1.5, and 3 mg/m2/day was administered simultaneously with Sandimmune® Oral Solution (cyclosporine Oral Solution) 1.25 mg/kg/day. The increase in average sirolimus trough concentrations ranged between 67% to 86% relative to when sirolimus was administered without cyclosporine. The intersubject variability (% CV) for sirolimus trough concentrations ranged from 39.7% to 68.7%. There was no significant effect of multiple-dose sirolimus on cyclosporine trough concentrations following Sandimmune® Oral Solution (cyclosporine oral solution) administration. However, the % CV was higher (range 85.9% - 165%) than those from previous studies. Ketoconazole: Ketoconazole is a strong inhibitor of CYP3A4 and P-gp; co-administration of sirolimus oral solution or tablets and ketoconazole is not recommended [see Warnings and Precautions (5.18), Drug Interactions (7.2)]. Multiple-dose ketoconazole administration significantly affected the rate and extent of absorption and sirolimus exposure after administration of sirolimus oral solution, as reflected by increases in sirolimus Cmax, tmax, and AUC of 4.3-fold, 38%, and 10.9-fold, respectively. However, the terminal t½ of sirolimus was not changed. Single-dose sirolimus did not affect steady-state 12-hour plasma ketoconazole concentrations. Rifampin: Rifampin is a strong inducer of CYP3A4 and P-gp; co-administration of sirolimus oral solution or tablets and rifampin is not recommended. In patients where rifampin is indicated, alternative therapeutic agents with less enzyme induction potential should be considered [see Warnings and Precautions (5.18), Drug Interactions (7.2)]. Pretreatment of 14 healthy volunteers with multiple doses of rifampin, 600 mg daily for 14 days, followed by a single 20-mg dose of sirolimus oral solution, greatly decreased sirolimus AUC and Cmax by about 82% and 71%, respectively. Co-administration of sirolimus with other known strong inhibitors of CYP3A4 and/or P-gp (such as voriconazole, itraconazole, telithromycin, or clarithromycin) or other known strong inducers of CYP3A4 and/or P-gp (such as rifabutin) is not recommended [see Warnings and Precautions (5.18), Drug Interactions (7.2)]. In patients in whom strong inhibitors or inducers of CYP3A4 are indicated, alternative therapeutic agents with less potential for inhibition or induction of CYP3A4 should be considered. Grapefruit juice reduces CYP3A4-mediated drug metabolism. Grapefruit juice must not be taken with or used for dilution of sirolimus [see Dosage and Administration (2.9), Drug Interactions (7.3)]. St. John’s Wort (Hypericum perforatum) induces CYP3A4 and P-gp. Since sirolimus is a substrate for both cytochrome CYP3A4 and P-gp, there is the potential that the use of St. John’s Wort in patients receiving sirolimus could result in reduced sirolimus concentrations [see Drug Interactions (7.4)]. Carcinogenicity studies were conducted in mice and rats. In an 86-week female mouse study at sirolimus doses 30 to 120 timeshigher than the 2 mg daily clinical dose (adjusted for body surface area), there was a statistically significant increase in malignant lymphoma at all dose levels compared with controls. In a second mouse study at dosages that were approximately 3 to 16 times the clinical dose (adjusted for body surface area), hepatocellular adenoma and carcinoma in males were considered sirolimus-related. In the 104-week rat study at dosages equal to or lower than the clinical dose of 2 mg daily (adjusted for body surface area), there were no significant findings. The safety and efficacy of sirolimus oral solution for the prevention of organ rejection following renal transplantation were assessed in two randomized, double-blind, multicenter, controlled trials. These studies compared two dose levels of sirolimus oral solution (2 mg and 5 mg, once daily) with azathioprine (Study 1) or placebo (Study 2) when administered in combination with cyclosporine and corticosteroids. Study 1 was conducted in the United States at 38 sites. Seven hundred nineteen (719) patients were enrolled in this trial and randomized following transplantation; 284 were randomized to receive sirolimus oral solution 2 mg/day; 274 were randomized to receive sirolimus oral solution 5 mg/day, and 161 to receive azathioprine 2-3 mg/kg/day. Study 2 was conducted in Australia, Canada, Europe, and the United States, at a total of 34 sites. Five hundred seventy-six (576) patients were enrolled in this trial and randomized before transplantation; 227 were randomized to receive sirolimus oral solution 2 mg/day; 219 were randomized to receive sirolimus oral solution 5 mg/day, and 130 to receive placebo. In both studies, the use of antilymphocyte antibody induction therapy was prohibited. In both studies, the primary efficacy endpoint was the rate of efficacy failure in the first 6 months after transplantation. Efficacy failure was defined as the first occurrence of an acute rejection episode (confirmed by biopsy), graft loss, or death. The tables below summarize the results of the primary efficacy analyses from these trials. Sirolimus oral solution, at doses of 2 mg/day and 5 mg/day, significantly reduced the incidence of efficacy failure (statistically significant at the < 0.025 level; nominal significance level adjusted for multiple  dose comparisons) at 6 months following transplantation compared with both azathioprine and placebo. Patient and graft survival at 1 year were co-primary endpoints. The following table shows graft and patient survival at 1 and 2 years in Study 1, and 1 and 3 years in Study 2. The graft and patient survival rates were similar in patients treated with sirolimus and comparator-treated patients. The reduction in the incidence of first biopsy-confirmed acute rejection episodes in patients treated with sirolimus compared with the control groups included a reduction in all grades of rejection. In Study 1, which was prospectively stratified by race within center, efficacy failure was similar for sirolimus oral solution 2 mg/day and lower for sirolimus oral solution 5 mg/day compared with azathioprine in Black patients. In Study 2, which was not prospectively stratified by race, efficacy failure was similar for both sirolimus oral solution doses compared with placebo in Black patients. The decision to use the higher dose of sirolimus oral solution in Black patients must be weighed against the increased risk of dose-dependent adverse events that were observed with the sirolimus oral solution 5-mg dose [see Adverse Reactions (6.1)]. Mean glomerular filtration rates (GFR) post-transplant were calculated by using the Nankivell equation at 12 and 24 months for Study 1, and 12 and 36 months for Study 2. Mean GFR was lower in patients treated with cyclosporine and sirolimus oral solution compared with those treated with cyclosporine and the respective azathioprine or placebo control. aIncludes patients who prematurely discontinued treatment. bPatients who had a graft loss were included in the analysis with GFR set to 0.0. The safety and efficacy of sirolimus oral solution and sirolimus tablets for the prevention of organ rejection following renal transplantation were demonstrated to be clinically equivalent in a randomized, multicenter, controlled trial [see Clinical Pharmacology (12.3)]. The safety and efficacy of sirolimus as a maintenance regimen were assessed following cyclosporine withdrawal at 3 to 4 months after renal transplantation. Study 3 was a randomized, multicenter, controlled trial conducted at 57 centers in Australia, Canada, and Europe. Five hundred twenty-five (525) patients were enrolled. All patients in this study received the tablet formulation. This study compared patients who were administered sirolimus, cyclosporine, and corticosteroids continuously with patients who received this same standardized therapy for the first 3 months after transplantation (pre-randomization period) followed by the withdrawal of cyclosporine. During cyclosporine withdrawal, the sirolimus dosages were adjusted to achieve targeted sirolimus whole blood trough concentration ranges (16 to 24 ng/mL until month 12, then 12 to 20 ng/mL thereafter, expressed as chromatographic assay values). At 3 months, 430 patients were equally randomized to either continue sirolimus with cyclosporine therapy or to receive sirolimus as a maintenance regimen following cyclosporine withdrawal. Eligibility for randomization included no Banff Grade 3 acute rejection or vascular rejection episode in the 4 weeks before random assignment, serum creatinine þ 4.5 mg/dL, and adequate renal function to support cyclosporine withdrawal (in the opinion of the investigator). The primary efficacy endpoint was graft survival at 12 months after transplantation. Secondary efficacy endpoints were the rate of biopsy-confirmed acute rejection, patient survival, incidence of efficacy failure (defined as the first occurrence of either biopsy-proven acute rejection, graft loss, or death), and treatment failure (defined as the first occurrence of either discontinuation, acute rejection, graft loss, or death). cSurvival including loss to follow-up as an event. dInitial planned duration of the study. cRandomization occurred at 3 months ± 2 weeks. bPatients who had a graft loss were included in the analysis and had their GFR set to 0.0. The mean GFR at 12, 24, and 36 months, calculated by the Nankivell equation, was significantly higher for patients receiving sirolimus as a maintenance regimen following cyclosporine withdrawal than for those in the sirolimus with cyclosporine therapy group. Patients who had an acute rejection prior to randomization had a significantly higher GFR following cyclosporine withdrawal compared to those in the sirolimus with cyclosporine group. There was no significant difference in GFR between groups for patients who experienced acute rejection post-randomization. Although the initial protocol was designed for 36 months, there was a subsequent amendment to extend this study. The results for the cyclosporine withdrawal group at months 48 and 60 were consistent with the results at month 36. Fifty-two percent (112/215) of the patients in the sirolimus with cyclosporine withdrawal group remained on therapy to month 60 and showed sustained GFR. Sirolimus was studied in a one-year, clinical trial in high risk patients (Study 4) who were defined as Black transplant recipients and/or repeat renal transplant recipients who lost a previous allograft for immunologic reasons and/or patients with high panel-reactive antibodies (PRA; peak PRA level > 80%). Patients received concentration-controlled sirolimus and cyclosporine (MODIFIED), and corticosteroids per local practice. The sirolimus dose was adjusted to achieve target whole blood trough sirolimus concentrations of 10-15 ng/mL (chromatographic method) throughout the 12-month study period. The cyclosporine dose was adjusted to achieve target whole blood trough concentrations of 200-300 ng/mL through week 2, 150-200 ng/mL from week 2 to week 26, and 100-150 ng/mL from week 26 to week 52 [see Clinical Pharmacology (12.3)] for the observed trough concentrations ranges. Antibody induction was allowed per protocol as prospectively defined at each transplant center, and was used in 88.4% of patients. The study was conducted at 35 centers in the United States. A total of 224 patients received a transplant and at least one dose of sirolimus and cyclosporine and was comprised of 77.2% Black patients, 24.1% repeat renal transplant recipients, and 13.5% patients with high PRA. Efficacy was assessed with the following endpoints, measured at 12 months: efficacy failure (defined as the first occurrence of biopsy-confirmed acute rejection, graft loss, or death), first occurrence of graft loss or death, and renal function as measured by the calculated GFR using the Nankivell formula. The table below summarizes the result of these endpoints. aCalculated glomerular filtration rate by Nankivell equation. bPatients who had graft loss were included in this analysis with GFR set to 0. Conversion from calcineurin inhibitors (CNI) to sirolimus was assessed in maintenance renal transplant patients 6 months to 10 years post-transplant (Study 5). This study was a randomized, multicenter, controlled trial conducted at 111 centers globally, including US and Europe, and was intended to show that renal function was improved by conversion from CNI to sirolimus. Eight hundred thirty (830) patients were enrolled and stratified by baseline calculated glomerular filtration rate (GFR, 20-40 mL/min versus greater than 40 mL/min). In this trial there was no benefit associated with conversion with regard to improvement in renal function and a greater incidence of proteinuria in the sirolimus conversion arm. In addition, enrollment of patients with baseline calculated GFR less than 40 mL/min was discontinued due to a higher rate of serious adverse events, including pneumonia, acute rejection, graft loss and death [see Adverse Reactions (6.4)]. This study compared renal transplant patients (6-120 months after transplantation) who were converted from calcineurin inhibitors to sirolimus, with patients who continued to receive calcineurin inhibitors. Concomitant immunosuppressive medications included mycophenolate mofetil (MMF), azathioprine (AZA), and corticosteroids. Sirolimus was initiated with a single loading dose of 12-20 mg, after which dosing was adjusted to achieve a target sirolimus whole blood trough concentration of 8-20 ng/mL (chromatographic method). The efficacy endpoint was calculated GFR at 12 months post-randomization. Additional endpoints included biopsy-confirmed acute rejection, graft loss, and death. Findings in the patient stratum with baseline calculated GFR greater than 40 mL/min (sirolimus conversion, n = 497; CNI continuation, n = 246) are summarized below: There was no clinically or statistically significant improvement in Nankivell GFR compared to baseline. The rates of acute rejection, graft loss, and death were similar at 1 and 2 years. Treatment-emergent adverse events occurred more frequently during the first 6 months after sirolimus conversion. The rates of pneumonia were significantly higher for the sirolimus conversion group. While the mean and median values for urinary protein to creatinine ratio were similar between treatment groups at baseline, significantly higher mean and median levels of urinary protein excretion were seen in the sirolimus conversion arm at 1 year and at 2 years, as shown in the table below [see Warnings and Precautions (5.9)]. In addition, when compared to patients who continued to receive calcineurin inhibitors, a higher percentage of patients had urinary protein to creatinine ratios > 1 at 1 and 2 years after sirolimus conversion. This difference was seen in both patients who had a urinary protein to creatinine ratio ≤ 1 and those who had a protein to creatinine ratio > 1 at baseline. More patients in the sirolimus conversion group developed nephrotic range proteinuria, as defined by a urinary protein to creatinine ratio > 3.5 (46/482 [9.5%] versus 9/239 [3.8%]), even when the patients with baseline nephrotic range proteinuria were excluded. The rate of nephrotic range proteinuria was significantly higher in the sirolimus conversion group compared to the calcineurin inhibitor continuation group with baseline urinary protein to creatinine ratio > 1 (13/29 versus 1/14), excluding patients with baseline nephrotic range proteinuria. The above information should be taken into account when considering conversion from calcineurin inhibitors to sirolimus in stable renal transplant patients due to the lack of evidence showing that renal function improves following conversion, and the finding of a greater increment in urinary protein excretion, and an increased incidence of treatment-emergent nephrotic range proteinuria following conversion to sirolimus. This was particularly true among patients with existing abnormal urinary protein excretion prior to conversion. The incidence of biopsy-confirmed acute rejection was higher for patients in the sirolimus group 11/131 (8.4%) compared to the tacrolimus group 2/123 (1.6%) through 2 years post-transplant. The rate of new-onset diabetes mellitus post-randomization, defined as 30 days or longer of continuous or at least 25 days non-stop (without gap) use of any diabetic treatment after randomization, a fasting glucose ≥ 126 mg/dL or a non-fasting glucose ≥ 200 mg/dL, was higher in the sirolimus group 15/82 (18.3%) compared to the tacrolimus group 4/72 (5.6%). A greater incidence of proteinuria, was seen in the sirolimus group 19/131 (14.5%) versus 2/123 (1.6%) in the tacrolimus group. Conversion from a CNI-based regimen to a sirolimus-based regimen was assessed in stable liver transplant patients 6-144 months post-transplant. The clinical study was a 2:1 randomized, multi-center, controlled trial conducted at 82 centers globally, including the US and Europe, and was intended to show that renal function was improved by conversion from a CNI to sirolimus without adversely impacting efficacy or safety. A total of 607 patients were enrolled. The study failed to demonstrate superiority of conversion to a sirolimus-based regimen compared to continuation of a CNI-based regimen in baseline-adjusted GFR, as estimated by Cockcroft-Gault, at 12 months (62 mL/min in the sirolimus conversion group and 63 mL/min in the CNI continuation group). The study also failed to demonstrate non-inferiority, with respect to the composite endpoint consisting of graft loss and death (including patients with missing survival data) in the sirolimus conversion group compared to the CNI continuation group (6.6% versus 5.6%). The number of deaths in the sirolimus conversion group (15/393, 3.8%) was higher than in the CNI continuation group (3/214, 1.4%), although the difference was not statistically significant. The rates of premature study discontinuation (primarily due to adverse events or lack of efficacy), adverse events overall (infections, specifically), and biopsy-proven acute liver graft rejection at 12 months were all significantly greater in the sirolimus conversion group compared to the CNI continuation group. Sirolimus was evaluated in a 36-month, open-label, randomized, controlled clinical trial at 14 North American centers in pediatric (aged 3 to < 18 years) renal transplant patients considered to be at high-immunologic risk for developing chronic allograft nephropathy, defined as a history of one or more acute allograft rejection episodes and/or the presence of chronic allograft nephropathy on a renal biopsy. Seventy-eight (78) subjects were randomized in a 2:1 ratio to sirolimus (sirolimus target concentrations of 5 to 15 ng/mL, by chromatographic assay, n = 53) in combination with a calcineurin inhibitor and corticosteroids or to continue calcineurin-inhibitor-based immunosuppressive therapy (n = 25). The primary endpoint of the study was efficacy failure as defined by the first occurrence of biopsy-confirmed acute rejection, graft loss, or death, and the trial was designed to show superiority of sirolimus added to a calcineurin-inhibitor-based immunosuppressive regimen compared to a calcineurin-inhibitor- based regimen. The cumulative incidence of efficacy failure up to 36 months was 45.3% in the sirolimus group compared to 44.0% in the control group, and did not demonstrate superiority. There was one death in each group. The use of sirolimus in combination with calcineurin inhibitors and corticosteroids was associated with an increased risk of deterioration of renal function, serum lipid abnormalities (including, but not limited to, increased serum triglycerides and cholesterol), and urinary tract infections [see Warnings and Precautions (5.8)]. This study does not support the addition of sirolimus to calcineurin-inhibitor-based immunosuppressive therapy in this subpopulation of pediatric renal transplant patients. Since sirolimus is not absorbed through the skin, there are no special precautions. However, if direct contact of the oral solution occurs with the skin or eyes, wash skin thoroughly with soap and water; rinse eyes with plain water. Do not use Sirolimus Oral Solution after the expiration date that is located on the carton. The expiration date refers to the last day of that month. Sirolimus Oral Solution is a yellow colored solution. Each Sirolimus Oral Solution carton, NDC 66689-347-02, contains one 2 oz (60 mL fill) amber glass bottle of sirolimus (concentration of 1 mg/mL), one oral syringe adapter for fitting into the neck of the bottle, sufficient disposable amber oral syringes and caps for daily dosing, and a carrying case. Sirolimus Oral Solution bottles should be stored protected from light and refrigerated at 2°C to 8°C (36°F to 46°F). Once the bottle is opened, the contents should be used within one month. 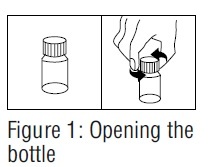 If necessary, the patient may store the bottles at room temperatures up to 25°C (77°F) for a short period of time (e.g., not more than 15 days for the bottles). Sirolimus Oral Solution provided in bottles may develop a slight haze when refrigerated. If such a haze occurs, allow the product to stand at room temperature and shake gently until the haze disappears. The presence of this haze does not affect the quality of the product. Women of childbearing potential should be informed of the potential risks during pregnancy and told that they should use effective contraception prior to initiation of sirolimus therapy, during sirolimus therapy, and for 12 weeks after sirolimus therapy has been stopped [see Use in Specific Populations (8.1)]. 1. Increased risk of getting infections. Serious infections can happen including infections caused by viruses, bacteria, and fungi (yeast). Your doctor may put you on medicine to help prevent some of these infections. Call your doctor right away if you have symptoms of infection including fever or chills while taking sirolimus. 2. Increased risk of getting certain cancers. People who take sirolimus have a higher risk of getting lymphoma, and other cancers, especially skin cancer. Talk with your doctor about your risk for cancer. Sirolimus has not been shown to be safe and effective in people who have had liver or lung transplants. Serious complications and death may happen in people who take sirolimus after a liver or lung transplant. You should not take sirolimus if you have had a liver or lung transplant without talking with your doctor. See the section “What are the possible side effects of sirolimus?” for information about other side effects of sirolimus. Sirolimus is a prescription medicine used to prevent rejection (anti-rejection medicine) in people 13 years of age and older who have received a kidney transplant. Rejection is when your body’s immune system recognizes the new organ as a “foreign” threat and attacks it. It is not known if sirolimus is safe and effective in children under 13 years of age. Who should not take sirolimus? Do not take Sirolimus Oral Solution if you are allergic to sirolimus or any of the other ingredients in Sirolimus Oral Solution. See the end of this leaflet for a complete list of ingredients in Sirolimus Oral Solution. What should I tell my doctor before taking sirolimus? are pregnant or are a female who can become pregnant. Sirolimus may harm your unborn baby. You should not become pregnant during treatment with sirolimus and for 12 weeks after ending treatment with sirolimus. In order to avoid pregnancy, a female who can get pregnant should use effective birth control during treatment and for 12 weeks after your final dose of sirolimus. Talk with your doctor about what birth control method is right for you during this time. Tell your doctor right away if you become pregnant or think you are pregnant during treatment with sirolimus or within 12 weeks after your final dose of sirolimus. It is not known whether sirolimus passes into breast milk. You and your doctor should decide if you will take sirolimus or breastfeed. You should not do both. Tell your doctor about all the medicines you take, including prescription and over-the-counter medicines, vitamins and herbal supplements. Using sirolimus with certain medicines may affect each other causing serious side effects. Read the Instructions for Use that comes with your Sirolimus Oral Solution for information about the right way to take Sirolimus Oral Solution. Take sirolimus exactly as your doctor tells you to take it. Your doctor will tell you how much sirolimus to take and when to take it. Do not change your dose of sirolimus unless your doctor tells you to. If you also take cyclosporine (Gengraf, Neoral, Sandimmune), you should take your sirolimus and cyclosporine about 4 hours apart. Do not stop taking sirolimus or your other anti-rejection medicines unless your doctor tells you to. Your doctor will check the levels of sirolimus in your blood. Your doctor may change your dose of sirolimus depending on your blood test results. Sirolimus is taken by mouth 1 time each day. Take each dose of sirolimus the same way, either with or without food. Food can affect the amount of medicine that gets into your bloodstream. Taking each dose of sirolimus the same way helps keep your blood levels of sirolimus more stable. Do not take sirolimus with grapefruit juice. Sirolimus Oral Solution can develop a slight haze when it is refrigerated. If this happens, bring the Sirolimus Oral Solution to room temperature and then gently shake the bottle until the haze goes away. If you get Sirolimus Oral Solution on your skin, wash the area with soap and water. If you get Sirolimus Oral Solution in your eyes, rinse your eyes with water. What should I avoid while taking Sirolimus Oral Solution? Avoid receiving live vaccines while taking sirolimus. Some vaccines may not work as well while you are taking sirolimus. Limit your time in sunlight and UV light. Cover your skin with clothing and use a sunscreen with a high protection factor because of the increased risk for skin cancer with sirolimus. lungs. Call your doctor if you have trouble breathing. Poor wound healing. Sirolimus may cause your wounds to heal slowly or not heal well. Tell your doctor if you have any redness or drainage, your wound does not heal, or the wound opens up. with sirolimus, your blood levels of cholesterol and triglycerides may remain high even if you follow your prescribed treatment plan. Effects on kidney function. When sirolimus is taken with cyclosporine (Gengraf, Neoral, Sandimmune), the function of your transplanted kidney may be affected. Your doctor should regularly do tests to check your kidney function while you are taking sirolimus with cyclosporine (Gengraf, Neoral, Sandimmune). other problems that have lasted over several days. difficulty breathing or any new breathing problems. Your doctor may need to stop sirolimus or lower your dose. Blood clotting problems. When sirolimus is taken with cyclosporine or tacrolimus, you may develop a blood clotting problem. Tell your doctor if you get any unexplained bleeding or bruising. These are not all of the possible side effects of sirolimus. For more information ask your doctor or pharmacist. How should I store Sirolimus Oral Solution? Store bottles of Sirolimus Oral Solution in the refrigerator between 36°F to 46°F (2°C to 8°C). If necessary, bottles of Sirolimus Oral Solution can be stored at room temperature up to 77°F (25°C) for up to 15 days. When a bottle of Sirolimus Oral Solution is opened, it should be used within 1 month. Use any diluted Sirolimus Oral Solution right away. Do not use Sirolimus Oral Solution after the expiration date, which is located on the carton. The expiration date refers to the last day of that month. Safely throw away medicine that is out of date or no longer needed. Keep Sirolimus Oral Solution and all medicines out of the reach of children. General Information about the safe and effective use of Sirolimus Oral Solution. Medicines are sometimes prescribed for purposes other than those listed in a Medication Guide. Do not use Sirolimus Oral Solution for a condition for which it was not prescribed. Do not give Sirolimus Oral Solution to other people even if they have the same symptoms that you have. It may harm them. This Medication Guide summarizes the most important information about Sirolimus Oral Solution. If you would like more information talk to your doctor. You can ask your pharmacist or doctor for information about Sirolimus Oral Solution that is written for health professionals. What are the ingredients in Sirolimus Oral Solution? Inactive ingredients: Phosal® 50 PG (alcohol, ascorbyl palmitate, phosphatidylcholine, propylene glycol, soy acid, soy lecithin, sunflower seed oil glyceride, and tocopherol) and polysorbate 80. Sirolimus Oral Solution contains 1.5% - 2.5% ethanol. Be sure that you read and understand the following instructions for the correct way to dilute and take Sirolimus Oral Solution. Ask your pharmacist or doctor if you are not sure. You may store Sirolimus Oral Solution that is in a syringe at room temperature up to 77°F (25°C) or in the refrigerator at 36°F to 46°F (2°C to 8°C) for up to 24 hours. 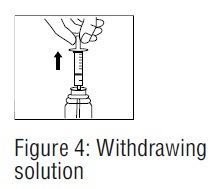 See “How should I store Sirolimus Oral Solution?” at the end of these Instructions for Use. Only use a glass or plastic cup to dilute Sirolimus Oral Solution. 6 oz. of water or orange juice only. 1. Open the solution bottle. 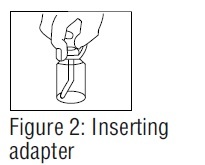 Remove the safety cap by pushing down and turning counterclockwise (Figure 1). 3. Use a new disposable amber oral syringe for each dose of Sirolimus Oral Solution. 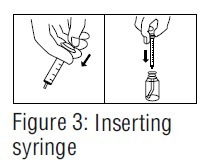 If you need to carry your Sirolimus Oral Solution in a filled syringe, place a cap securely on the syringe. 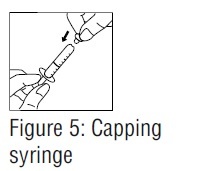 The cap should snap into place (Figure 5). 6. 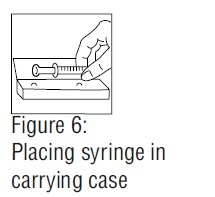 Place the capped syringe in the enclosed carrying case (Figure 6). Refill the container with at least 4 ounces (1/2 cup, 120 mL) of water or orange juice, stir vigorously again and drink the rinse solution. Do not mix Sirolimus Oral Solution with apple juice, grapefruit juice, or other liquids. Only glass or plastic cups should be used to mix Sirolimus Oral Solution. Also contains a mixture of propylene glycol and phosphatidylcholine derived from soy lecithin (and other components) and polysorbate 80. Each mL contains 1 mg sirolimus. 1.5%-2.5% ethanol.